The Dec. 24 bond release of Rev. 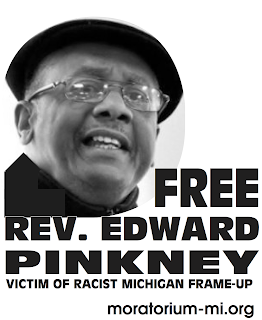 Edward Pinkney of Benton Harbor is a victory for all Americans. For the past year, many people from across the country have struggled tirelessly to expose the outrageous injustice perpetrated by the courts of Berrien County. We knew all along that once word got out, that they were imprisoning a minister of the gospel for quoting Scripture, this travesty would not be allowed to stand. However, Rev. 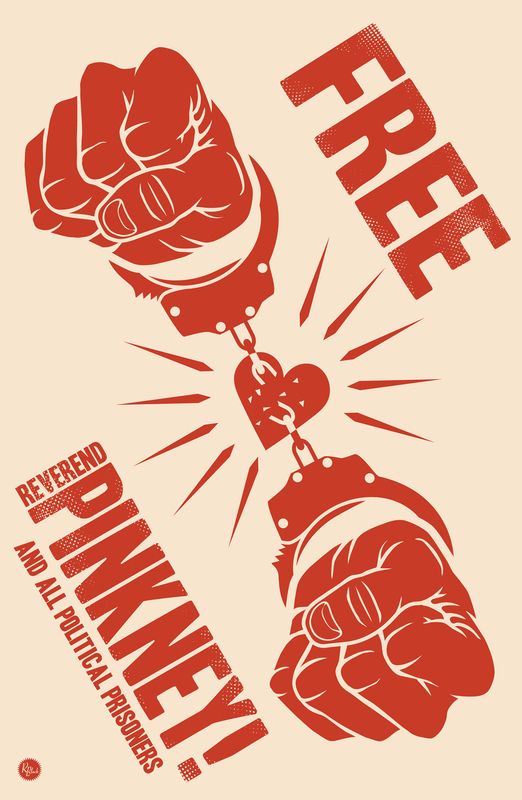 Pinkney's release is only the first step. His appeal of the three-to-10-year prison sentence for quoting Scripture remains to be heard and decided. And in the meantime, Berrien County Judge Dennis Wiley has imposed additional onerous and unconstitutional conditions to his bond release. He specifically forbids Rev. Pinkney to speak publicly, preach in a church, write any article the court may consider "defamatory," or participate in an electoral campaign. It was Rev. Pinkney's 2008 Green Party candidacy for Congress that helped gain the publicity necessary to get him released. What is Berrien County so afraid of? Rev. Pinkney's case represents an ominous trend in the American court system. As our economy fails and poverty spreads, traditional political leaders locally and nationally seem to have no answer except corporate bailouts. The American people are beginning to protest and seek out new leaders like Rev. Pinkney. He was targeted because of the Gospel he preaches: to loose the chains of injustice, let the oppressed go free, and break every yoke; to share food with the hungry, house the homeless, and clothe the naked. Similar leaders are rising and speaking out in Benton Harbors all across America. If Whirlpool and other global corporations have their way, these popular voices will be repressed, just as they have tried to silence Rev. Pinkney, and our democracy will die. It is up to all of us to defend our freedom to protest, and continue carrying on the battle for the economic justice envisioned in the Bible. Sandy Perry is coordinator of the Spirit of the Revolution column in the Peoples Tribune newspaper, and he works with the Community Homeless Alliance Ministry in San Jose, CA. He speaks on the role of religion and spirituality in the revolutionary movement, and how we can draw on our diverse spiritual traditions as we fight for a society based on human need, not private profit. You can hear Sandy Perry at the People's Tribune Radio web site.